If you are looking to make your dream of owning a property in Portugal a reality, one of the first things you will need to do is find a good estate agent. But how can you tell a good estate agent in Portugal from a bad one? What should you be looking for in a Portuguese estate agent? Fortunately for anyone looking to buy or sell property in Portugal, estate agents in Portugal are formally regulated which provides some protection for people using their services. 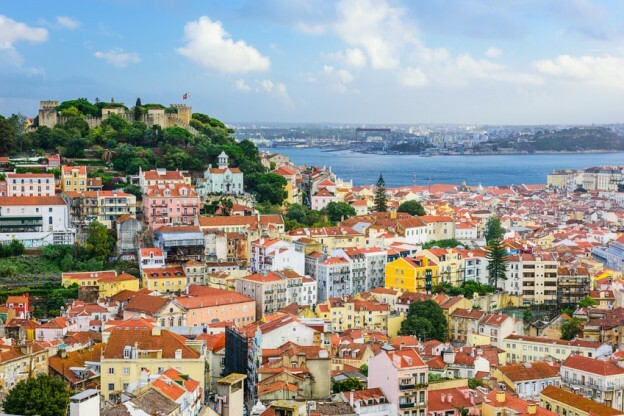 A degree of caution should however be exercised when dealing with estate agents in Portugal as there has been an influx of estate agents setting up in Portugal, not all of whom are practising legally. You should therefore always ensure that you are dealing with a reputable and legal estate agency. How do you know if your estate agent in Portugal is practising legally? Unlike in the UK, estate agents in Portugal must undertake professional training and hold relevant qualifications before practising as an estate agent. In order to practice legally, Portuguese estate agents must also be registered with the government and hold appropriate insurance. To make sure that you are dealing with a legal estate agency in Portugal, check that they have an official AMI licence number (Associacao de Mediadores Imobiliarios). This is usually on display in their premises but should also be provided to you on request. For peace of mind it is advisable to actually check out this number and the estate agent’s credentials, by contacting the Instituto da Construcao e do Imobiliario. (INCI) which is the governing body that regulates estate agents and builders in Portugal. There you will find details of the period of validity of the licence (the license should be renewed every 3 years) as well as details of the estate agent’s insurance which would protect you against financial loss should something go wrong. The AMI registration also provides you with a route for complaints should you encounter any problems with a licensed estate agent in Portugal. The role of an estate agent in Portugal is generally limited to marketing and selling properties although good estate agents may also help you in other ways, for example by offering to show you the local schools, doctors surgery and providing information about local builders if you are hoping to renovate the property once purchased. In terms of the buying process itself, once an offer has been accepted on a property in Portugal, your Portuguese property lawyer should take over from that point. A word of caution…Even legally practising estate agents can often be guilty of pushing buyers towards using their “recommended lawyers” to deal with the property purchase in Portugal. Whilst getting the estate agent to “hand over to their recommended lawyer” can seem attractive to unwitting buyers and appear as though it will make the transaction more straightforward, a lawyer working closely with an estate agent clearly has a conflict of interests. Buyers of property in Portugal are strongly advised therefore to instruct a lawyer who is independent and not connected to the estate agent. That way you will have peace of mind that your Portuguese lawyer will be working to protect only your interests. For information about how to find an independent English-speaking lawyer in Portugal, please contact Worldwide Lawyers on 01244 470 339 or at info@worldwdielawyers.co.uk. If you are looking for a property to buy in Portugal, you should speak with a number of estate agencies in Portugal to help you to understand the properties that are available on the Portuguese property market. Estate agencies in popular expat areas such as the Algarve, Cascais or the Silver Coast usually work along the same lines as estate agents in the UK. They usually advertise the fact that a property is for sale with the use of “For Sale” boards (Venda-se) outside of the property itself, on their websites and within the estate agent’s premises. In some of the more rural areas in Portugal, actually speaking with the estate agents may be the only way you will find out that some properties are even up for sale. Try not to limit your options and make sure you speak with a number of estate agents (not just the expat run ones!) to make sure you know what is available. Most importantly, don’t let anyone pressure you to make decisions you are not ready to make – take your time, do your research, review your options and to enjoy the process of buying your property in Portugal!